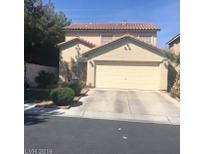 Below you can view all the homes for sale in the Sunrise Meadows subdivision located in Las Vegas Nevada. Listings in Sunrise Meadows are updated daily from data we receive from the Las Vegas multiple listing service. To learn more about any of these homes or to receive custom notifications when a new property is listed for sale in Sunrise Meadows, give us a call at 702-323-5986. Convenient To Retail Shopping Area And Much, Much More. MLS#2081771. Realty ONE Group, Inc.
single story home located in Sunrise Meadows with 3 bedrooms and 2 bath, 2 car garage, open floor plan desert landscape MLS#2079721. Luxury Realty. Front Entrance Living Room With Fireplace, Close To Freeways, Shops, And Schools. Come See This Home Today! MLS#2073902. 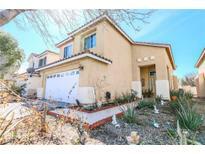 Keller Williams Market Place I.
Backyard has covered patio and a barbecue with a sink! DO NOW MISS OUT! MLS#2073565. Century 21 Americana. New carpet.Neutral Paint throughout.Spacious Master bedroom with large closet space.Master bath features newly tiled shower, vanity lighting, double sink.Large office/optional 3rd bedroom.Show & Sell! MLS#2063183. RentVest Nevada. 5 Bedroom/3 Bathroom (Bed/Bath Downstairs); Huge Kitchen w/Stainless Steel Appliances and Granite Counters; Large Living Room Area w/Vaulted Ceilings and Media Niche; Formal Dining Room; Separate Laundry Room; Solar Electric System; MLS#2059376. Signature Real Estate Group. Garage has been upgrade with GARAGE CABINETS. Solar Panels are included. MLS#2058787. Desert Vision Realty. Very Nice Open Floor Plan, Brand New Carpet Big Living Room, Kitchen Has Granite Counter Tops, Carpet & Ceramic, 4 Bedrooms 2 Full Bathrooms And Very Nice Lay Out. MLS#2044415. DH Capital Realty.